Conversations sparked by photojournalism. For even more great images, follow us on Twitter. 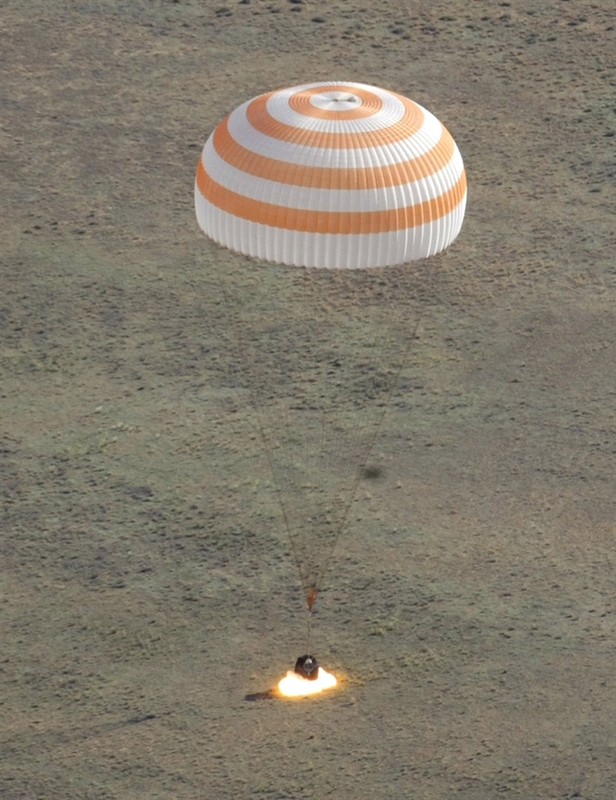 The Russian Soyuz TMA-20 space capsule lands about 150 km south-east of the Kazakh town of Dzhezkazgan on May 24, 2011. A Soyuz space capsule carrying an Italian, a Russian and an American back from the International Space Station (ISS) has landed safely in Kazakhstan, Russian mission control said. 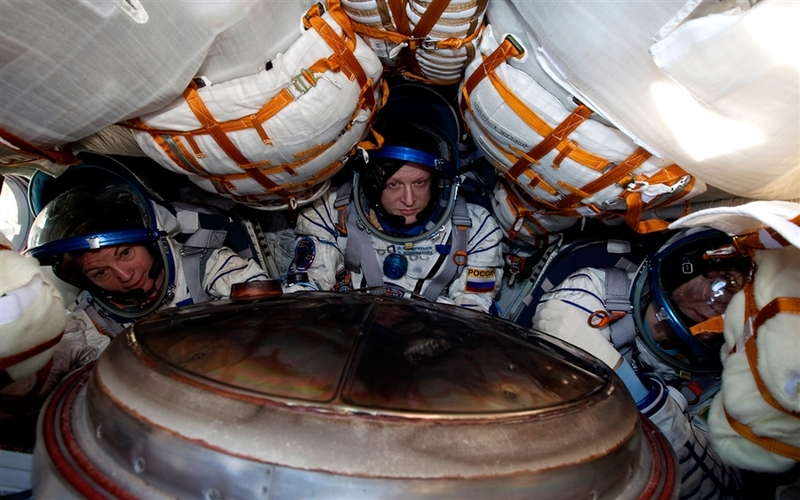 US astronaut, flight engineer Catherine "Cady" Coleman (L), Italian astronaut Paolo Nespoli (R) and the Expedition 27 Commander, Russian cosmonaut Dmitry Kondratyev , sit inside their Soyuz TMA-20 capsule just after the landing in Kazakhstan on May 24. 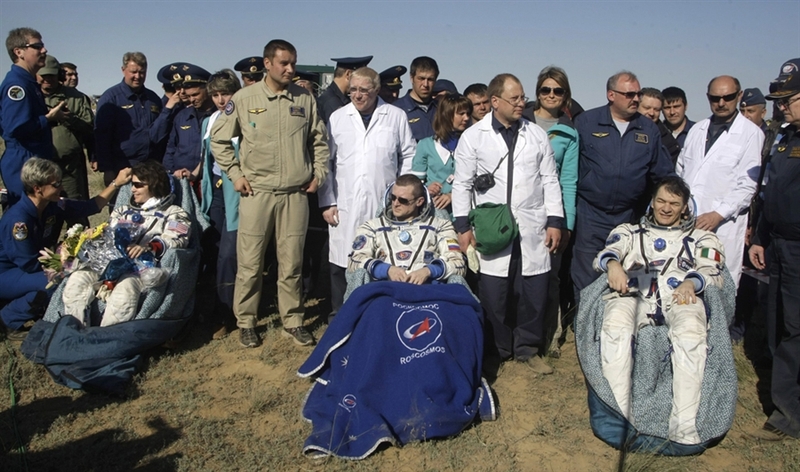 Russian space agency rescue team help U.S. astronaut Cady Coleman leave the capsule after Soyuz capsule's landing about 93 miles south-east of the Kazakh town of Dzhezkazgan, Tuesday, May 24, 2011. The Soyuz capsule carrying Italian, American and Russian back to Earth from the International Space Station landed safely in Kazakhstan on Tuesday. epa02748728 The International Space Station crew of US astronaut Cady Coleman Russian cosmonaut Dmitry Kondratiev, and Italian astronaut Paolo Nespoli are seen after Soyuz capsule's landing 80 miles south-east of the Kazakh town of Dzhezkazgan, Kazakhstan, on May 24, 2011.